We are huge fans of Kung Fu Panda and are excited that the newest installment will hit theaters this Friday, January 29th. We’ve watched the previous movies and can’t wait to watch this one. 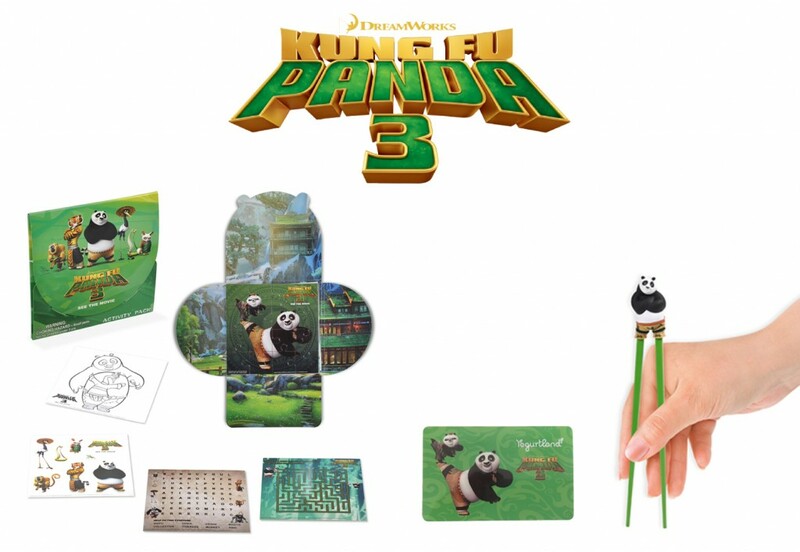 Yogurtland is joining on the fun of Kung Fu Panda 3 by bringing a taste of it to their locations! Through February 28, you’ll be able to enjoy new flavors of their delicious frozen yogurt inspired by characters from the movie, starting with Po’s Cookies and Cream, Mei Mei’s Dragon Warrior Passion Tart and Bao’s Cherry Tart.To help celebrate Kung Fun Panda 3’s release we’re giving away a Pandalicious Prize Pack. All you have to do is leave a comment on who you plan taking to see Kung Fun Panda 3 and to Yogurtland. That’s it! Giveaway ends on February 3rd at 11:59pm. Winner will be chosen at random. Good luck! I’ve watched the show twice on my own and once with the family a few years back. I was so excited to hear that the show is coming back and I can’t wait to take the family again. Cavalia features many of the same things that I love about Cirque shows. The live music is mesmerizing. The acrobatics are incredible. The show features dozens of beautiful horses and talented performers. It’s a show that can’t be missed! Cavalia Odysseo will open on February 3rd, under the White Big Top, at the junction of SR 133 and the 405. The show will open February 3, with matinee and evening performances scheduled through February 14. Tickets start at $29. For additional info head here. This entry was posted in Uncategorized and tagged Cavalia, Cavalia Irvine, Cavalia Odysseo, Cavalia Orange County. California Science Center Offer valid for general admission only. Does not apply to specially ticketed exhibitions or IMAX films. Timed reservations are required for space shuttle Endeavour. Craft & Folk Art Museum Offering free admission on Sunday, January 31, 2016 as part of Museums Free-for-All. The Getty Villa Timed tickets are required. Visit www.getty.edu. The La Brea Tar Pits and Museum Does not include Ice Age Encounters or 3D Theatre. Los Angeles County Museum of Art (LACMA) Offer valid for general admission only. Does not apply to specially ticketed exhibitions. Museum of Tolerance Closed Saturdays, offering free admission on Sunday, January 31, 2016 as part of Museums Free-for-All. Skirball Cultural Center Offering free admission on Sunday, January 31, 2016 as part of Museums Free-for-All. Noah’s Ark timed-entry, one-hour tickets are limited and distributed first-come, first-served. Zimmer Children’s Museum Closed Saturdays, offering free admission on Sunday, January 31, 2016 as part of Museums Free-for-All. This entry was posted in Museum- Free- For - all.